(phone 028 9036 5828 to book). 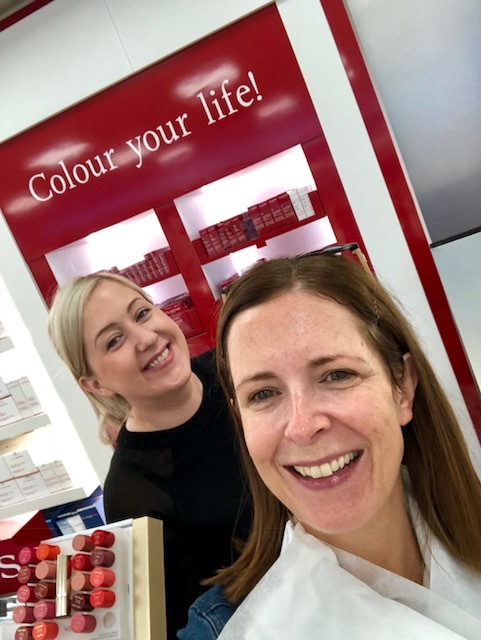 Now I thought this would involve merely showing me product and recommending items to purchase but it was in fact a lovely mini-facial carried out by Kathrina who has worked at the Clarins counter for 11 years and knows everything there is to know about the brand. 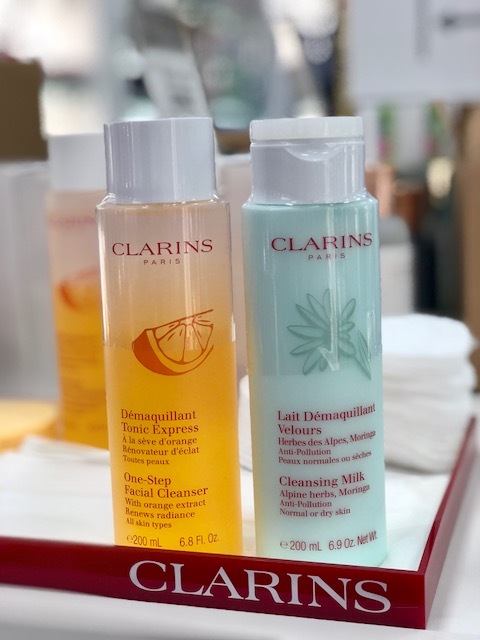 She gave me a thorough cleanse first using the Clarins Cleansing Milk - a classic which has endured for decades. I'd forgotten how gorgeous it smells and how effective it is. It was followed by a toner. Katherine then used my favourite Instant Eye Make Up Remover on my eyes. 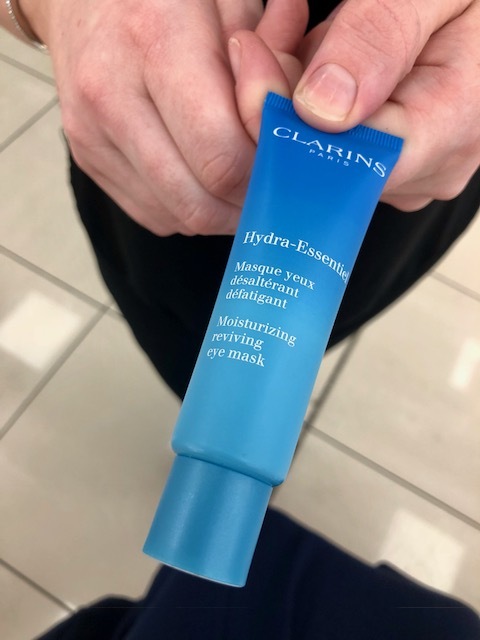 This was left on for about 15 minutes, which gave me a chance to have a look at the products on offer at the Clear Pharmacy. 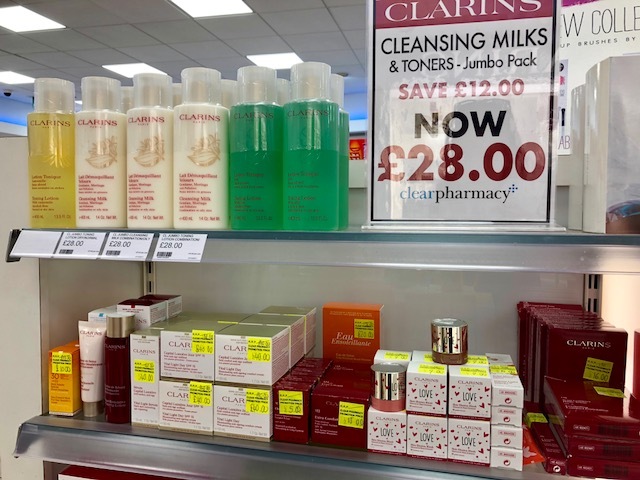 Kathrina had a few end of lines really well reduced as well as extra large sized cleansers and toners priced at just £28. Along with eye cream - an area of my face I will confess to neglecting and I know I'll regret this in the future. So this was a no brainer for my selection. I absolutely loved the consistency of it. To further boost the eye cream, Kathrina also used the eye mask which can be used at the same time once or twice a week for an extra dehydrated eye area. Some day cream (with SPF) and some lip balm and I was ready to go and glowing. but I was unexpectedly gifted some products for myself so I decided to use my budget to buy a few prizes to give away on here. I've bought two gift sets - one has the iconic Cleanser/Toner and the other the Double Serum...both come with generous travel sized samples. But then Kathrina gave me some more (bigger) travel sized samples so I am going to add some to the sets above and then use what's left as a third prize. 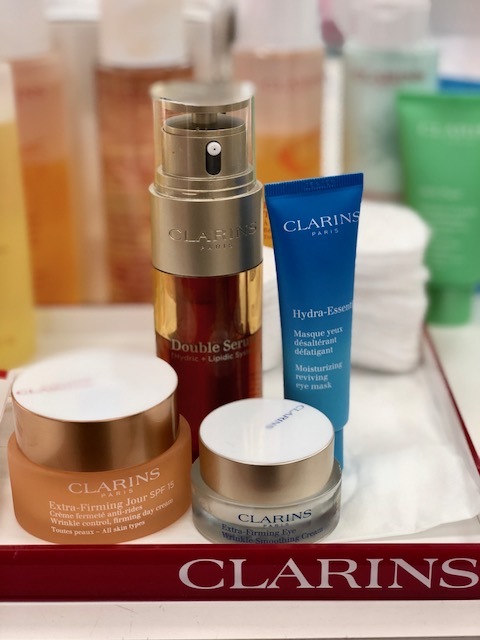 1st Prize - 30ml Double Serum gift set which includes 15ml Beauty Flash Balm and 15ml Gentle Refiner AND a 50 ml Instant Eye Make Up remover and 30ml Multi Active Day Cream. 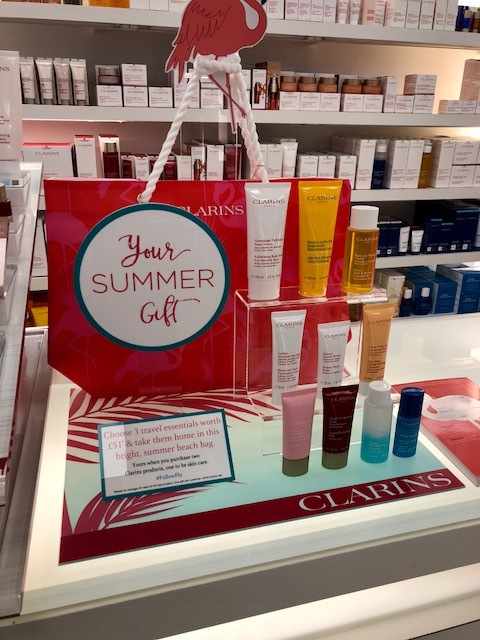 All presented in a Clarins summer canvas bag. 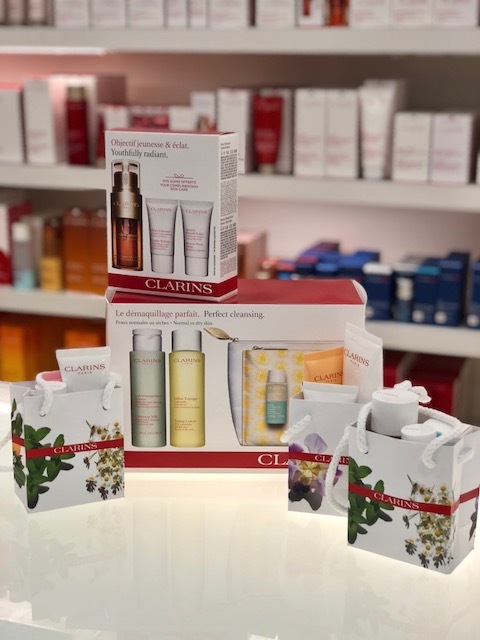 2nd Prize - Cleanser/Toner set with sample size products in a cosmetic bag with a 100ml Exfoliating Body Scrub & a 15ml Intensive Moisture Quenching Serum. 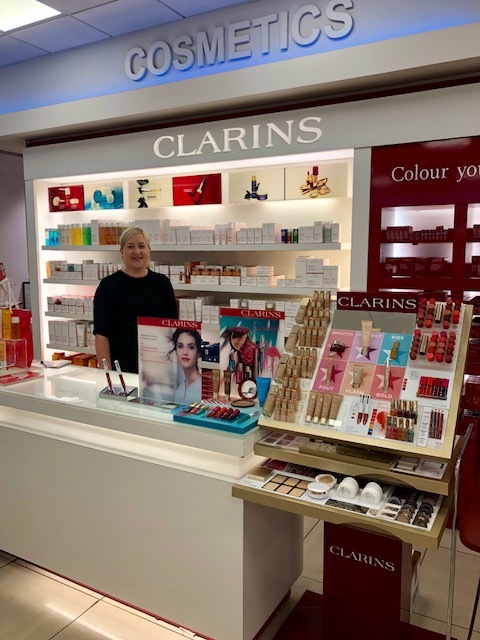 3rd Prize - Travel Size Selection - 50ml Hand and Nail Treatment Cream, 50ml Instant Eye Make Up Remover, 50ml One Step Exfoliating Cleanser and a 30ml Beauty Flash Balm. To enter, simply follow the instructions on this Rafflecopter widget. The competition will remain open for 1 week and I'll announce the winner next Monday, the 28th May. Open worldwide and three winners will be drawn at random using the Rafflecopter selection button. Good luck and thanks to Clear Pharmacy for enabling this! What a fantastic prize! Absolutely love the cleanser. Thank you for doing this giveaway Avril! I’m a complete Double Serum devotee. A good cleanser. Love the feeling at the end of the day when make-up, sunscreen etc is removed! I love all of the Simple products and am obsessed about using their day and night creams. My must have beauty product is eye make up remover. And sleep! My must have at the moment is Clinique moisture surge! Really need a good serum though so this would be fab! Wow what great prizes. Your skin looks amazing. 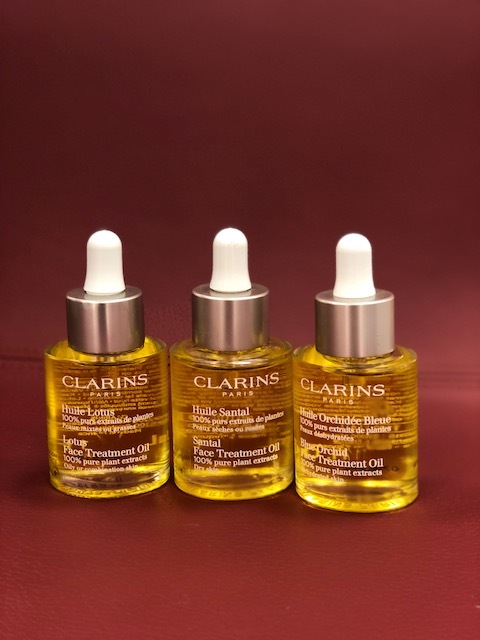 I've only recently get familiar with serums, but they have become a must now for me. I became instantly addicted. It is not often that a product delivers on their promises, so I was quite skeptic to be honest. Now I'm a believer!!!!! 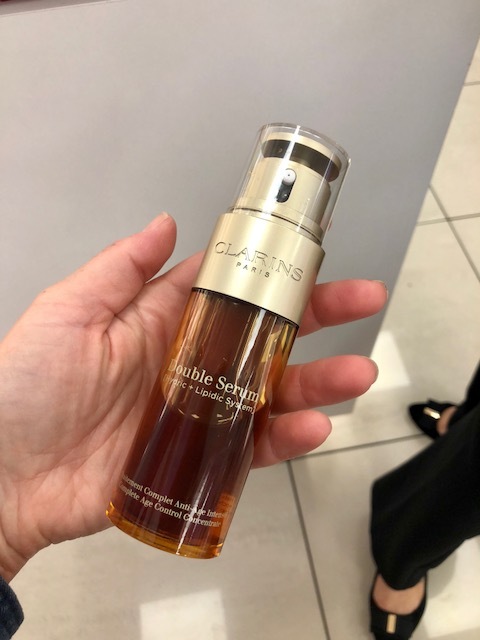 I’ve never used Clarins before, but the serum sounds really good. I also love masks, and have quite a few Korean sheet masks in my bathroom. Blue orchid oil is a firm favourite with me! 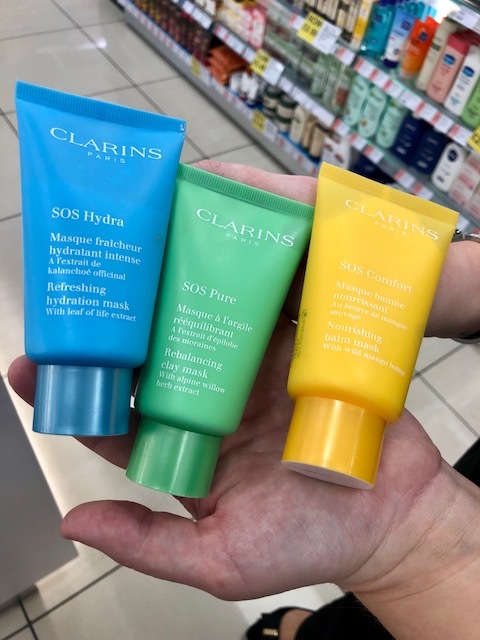 And Clarins do a brilliant Facial SPF, the anti pollution UV is a must have. I am loving the Bioderma Sébium pore refiner at the mo! 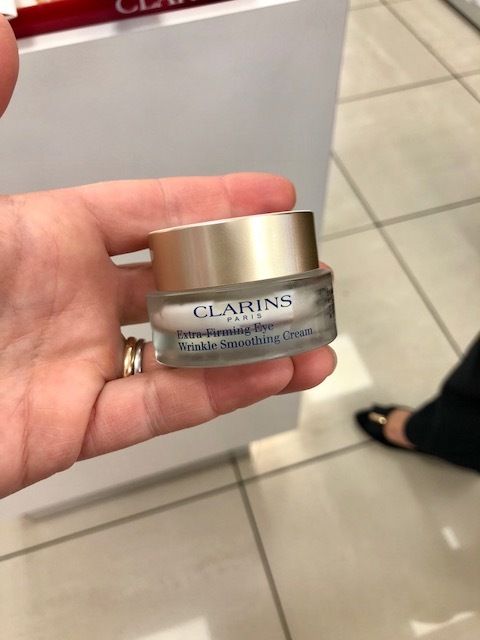 Never used Clarins but I've heard great things! So boring but it's moisturizer. Nuxe lip balm is my essential. I love the Clairns eye make up remover too!